April in Southern California is perfect for playing in your garden. The days are longer and warmer and there’s always something to do. Plant every chance you get. Local garden centers are loaded with all that new and interesting this month. Drop by discover something exciting. Work with what you’ve got. If you would like to grow herbs and vegetables but don’t have a large space consider establishing a container garden. A variety of inexpensive pots in various shapes and sizes can be used to cultivate a ‘patio garden’. In pots or in the ground, group tomatoes, onions, peppers and cilantro together and you have a ‘salsa garden’. Be creative in the space you’re allowed. Color: Asters, Coleus and Zinnias are showing up in the garden centers now. April is one of the months with the largest selection of flowering plants available. Be creative and make your own hanging baskets and potted patio plants using some of your favorites. Continue to dead head all flowering plants for optimum flower production. Fruits & Vegetables: Plant Citrus, Bananas, Avocados, Guava and other frost sensitive fruit trees this month. Fertilize existing fruit trees to help promote good fruit production. Additionally, thin excess fruit from young trees before the fruit reaches the size of an almond. This will prevent undue stress being put on the tree. Peaches should be thinned to every 5″ on alternate sides of the branch with plums, nectarines and apricots spaced at every 3″. Time to put in vegetables such as beans, corn, peppers, cucumbers and tomatoes if you haven’t done so. Also plant melons, squash and gourds. Perennials: It’s not too late to divide perennials such as Agapanthus, Moraea and Hemerocallis. Make sure they’re planted immediately after division. Divide and transplant grasses too. For bushier flowering shrubs, pinch new growth to encourage fullness at the base of the plant. Pests: Treat aphids, spider mites and white fly with insecticidal soap or a brisk spray of water. Roses & Flowers: Roses should be at their peak right now. Continue to dead head and feed with a high nitrogen fertilizer. Irrigation: Keeping an eye on the weather, set your irrigation for the longer, warmer days. Check your system to make sure that everything is working efficiently. A deep, thorough watering is better than a short, shallow watering. Deep watering encourages roots to go deep which will benefit the plant later this summer. Also: Once the weather has warmed and the plants in your garden are beginning to show signs of life, prune off any cold damage that may have been inflicted during the winter. Cut just below where the dead branches begin. If you’re not sure about what is damaged or not, wait until next month and reassess the damage. Stake taller growing plants now while they’re smaller and easier to manage. Sheer formal hedges and prune evergreens in preparation of their spring growth spurts. Prune and fertilize groundcovers to remove dead patches and encourage new growth. In January, your landscape is at its most dormant stage and there’s very little to do. Aside from pruning and transplanting there’s not a lot going on. With high moisture levels in the ground, be careful not to disturb the soil too much. Overworking can result in compaction that may harm the soil structure. Do go to your local nursery or garden center. Azaleas, Camellias are blooming along with New Zealand Tea Trees (Leptospermum scoparium) and other plants. Putting these in your garden will ensure that you have flowers in your garden when most flowering plants are in their dormant stage. Color: Fill in bare spots with cool weather annuals. Pansies, Snapdragons, Iceland poppies and Kale are great additions to the garden along with Cyclamen, Primula and Begonias. Keep leaf trash cleaned from the base of the plants. Plant summer blooming bulbs; canna, dahlia, lilies, tuberose and tuberous begonias. Fruits & Vegetables: Plant bare-root fruit trees, grapes, berries and strawberries now. Soak roots in water overnight before planting. Continue to spray dormant fruit trees for pests, include trunk and soil around the base of the tree. Prune established fruit trees to maintain a uniform shape. Many cool weather vegetables are available. Sow beet, carrot and radish seeds. Lawn: Mow cool weather lawns weekly. Appling a pre-emergent weed killer now will save you time and money later in the year. Give your lawnmower a tune up. Change the oil and have the blade to your lawnmower sharpened or do it yourself. Roses & Flowers: Clean leaf litter from around the base of plants to discourage snails & slugs. Bait as necessary. Prune roses before new growth begins. Water roses thoroughly before pruning. Other flowering shrubs should be pruned after the first bloom cycle. Also: Natives can also be pruned lightly now in order to maintain a uniform shape. If rainfall isn’t heavy, water deeply. The moisture they store now will help them through the hot summer months. Bulbs with higher cold requirements need to be planted in cold soil. If the weather is cool, between Christmas and New Years, plant then. Otherwise wait until the soil temperature drops being sure to plant before January 10th. Plant and transplant Azaleas and Camellias. Be sure to use a high acid planting mix to promote growth. The heat wave we had in September is cooling off. Now – let’s focus on October. October is prime planting month. It’s a good time to plant trees, shrubs, color, groundcover, vegetables roses and of course fruit trees. Get out there and start making the changes you’ve considered this past year. The results of much of the planting and pruning you do now will be evident later on. The soil temperature is still warm which will encourage root growth. Planting now will allow you to take advantage of the winter rains and you’ll see the benefits when the days lengthen in the spring. Color: Remove the annual color you planted last spring and get ready to replant. If you look at a plant and wonder ‘will it recover?’ the answer is ‘no’. Discard it and replace it with winter color such as Pansy, Kale, Primula, Schizanthus and Viola. Each year there seem to be more exciting cultivars available along with the old favorites. Mix and match to add some fun to your fall color. Fruits & Vegetables: Keep fruit and vegetables picked to avoid rot spreading to the rest of the crop. Remove vegetable plants that are past their bearing season. Keep the area under the fruit trees clean to discourage disease. Now is the time to plant strawberries for harvest in the spring. Also plant, broccoli, cauliflower, carrots, radishes, peas and lettuce. 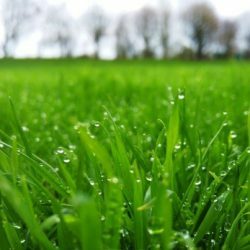 Lawn: Consider removal of your lawn, considering the drought. However – if you keep your lawn, continue to mow weekly and fertilize monthly. Treat dead patches in your lawn with the appropriate fungicide or insecticide to control the problem. Then reseed to have a strong lawn in the spring. Now is also a good time to aerate your lawn. Roses & Flowers: Feed and water roses deeply to promote a strong fall blooming season. Dead-head all varieties to prolong the flowering period. Plant wildflower seed. Consider adding some ornamental grasses to your landscape. The movement and texture they provide is a great compliment to leafy plants and they’re virtually maintenance free and very water efficient. If you haven’t done so yet, plant your bulbs. For bulbs that need a longer period of cold to bloom effectively (tulips & hyacinth), place them in a paper bag in the refrigerator away from fruit. Now is the time also to divide Agapanthus, Iris, Moraea and Daylilies. Prepare for Santa Ana conditions. Trim trees with heavy top branches. Water deeply and thoroughly. Double check stakes on young trees. During the winds, water lightly and frequently to help keep the moisture in your landscape. With longer days and increased heat, August is the time of year where your garden is stressed the most. Remember three important watering tips: 1) water in the morning, 2) water the roots not the leaves, 3) it’s better to water deep occasionally than water shallow often. Now is a good time to take a serious look at your garden to determine any changes that you may want to make during cooler months. Color: Assess your annual and perennial color. If an annual is looking peaked, it’s best just to dig it up and discard it. A perennial that’s not looking its best can be cut back a couple of inches and it should rejuvenate quickly. Continue to deadhead spent flowers for a long lasting bloom season. Fruits & Vegetables: Trim suckers off fruit trees and vines. Supplemental water shallow root trees such as Citrus & Avocado. Watch for evidence of thrips. Lawn: Continue to fertilize your lawn monthly through October. Raising the blade on your lawnmower and allowing the blades to grow to 2-2 ½” will help keep the ground moisture in your lawn. Also, mowing weekly will help keep weeds at bay. Roses & Flowers: Deadhead roses and feed after the bloom cycle. Keep deadheading all flowers to prolong the bloom period. Trim back hanging baskets that may be starting to look unruly. Pinch back Impatiens that may be starting to stretch. Prepare for the fire season by removing dead branches and leaves from trees and shrubs. Cut tall grasses and weeds to stubble. Remove dead leaves which are considered fuel from gutters and around the base of structures. If you don’t have an evacuation plan established, get one and make sure all the members of your family are aware of it. Like every month, do a test run on your irrigation system to ensure that all lines are clear and emitters are working efficiently. Make sure that you establish a watering schedule for plants in pots that are not part of the irrigation system. Move plants in pots that seem to be in a constant state of wilt into a shadier spot for the next couple of months. Heat can bring on attacks from garden pests in all forms. Watch for rust, spider mites, caterpillars, thrips, scale and grubs along with a multitude of other pests. Be sure to treat effectively always following the manufacturer’s instructions to halt the problem before it gets out of control. Your garden will respond this month to the long days of sunshine and warm weather. The annuals you planted earlier in the year should be looking their best and the fruit trees should be loaded with fruit. Some of the vegetables you’ve planted are being harvested and your garden overall should look spectacular. Spend more time outside doing simple chores and enjoy what you’ve created. Color: While many of your annuals are probably at their peak, it’s not too late to add a few plants to your beds and pots. Marigolds, Salvia, Zinnia, Verbena and many other varieties are available to plant in the sun. As always, bedding Begonias and Impatiens are available for the shade along with Coleus and Kalanchoe. Fruits & Vegetables: Plums and Peaches on your fruit trees should be ready to pick and enjoy. Early crops such as beans and cucumbers may be ready to harvest this month. Remove fruit and vegetables as they ripen. Leaving them on the plant can encourage pests and diseases. You can replant now for another vegetable crop later this year. Prune spent canes off of fruiting vines. Lawn: Raising the blade on your lawnmower and allowing the blades to grow to 2-2 ½” will help keep the ground moisture in your lawn. In consideration of the drought, be sure to establish a twice weekly watering schedule. Roses & Flowers: Deadhead roses and feed after the bloom cycle. Keep deadheading all flowers to prolong the bloom period. Mulch flower beds and around shrubs and trees to help retain soil moisture through these typically hottest months.